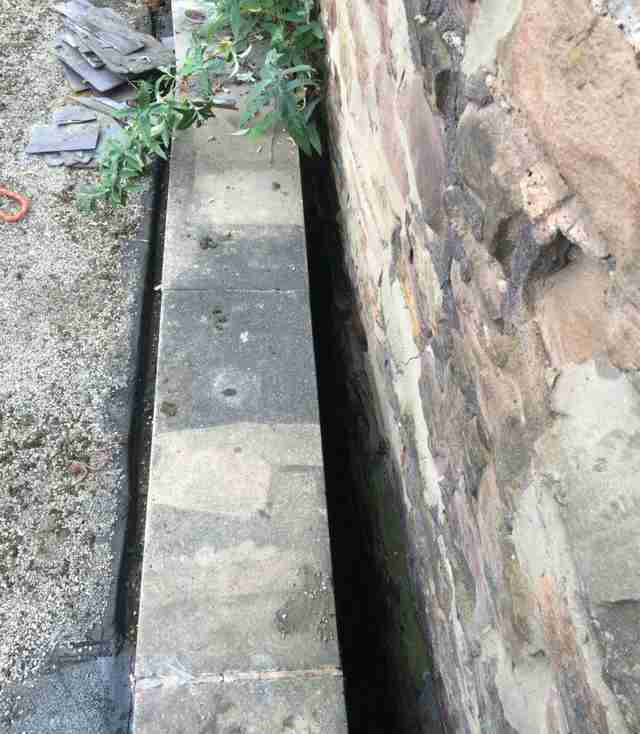 People heard meowing and found him wedged deep between the buildings. 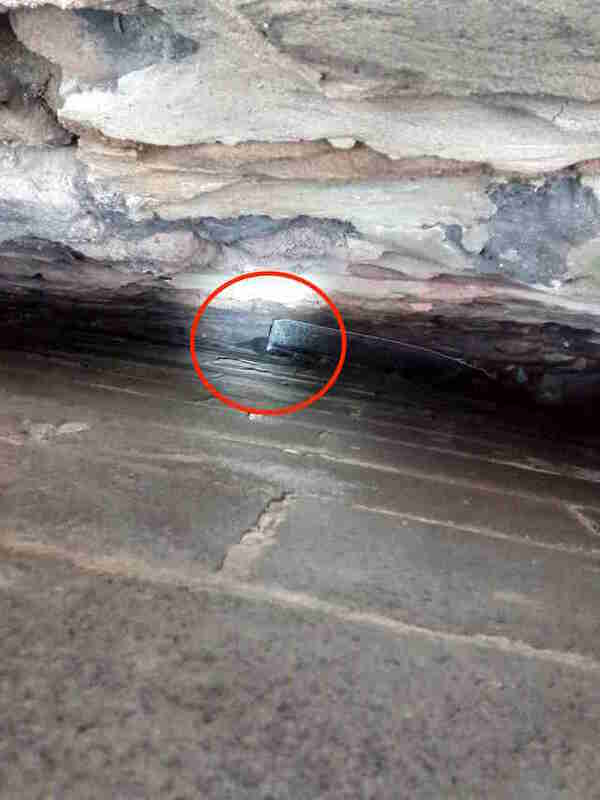 A tiny kitten somehow ended up on the roof of a pub in Rotherham, England, and was wandering around up there when he accidentally fell, careening down 16 feet and ending up stuck between two buildings. It wasn’t until the pub staff heard frightened meows coming from the gap between the buildings that they realized he was there, and they quickly contacted the RSPCA in hopes that it could help. 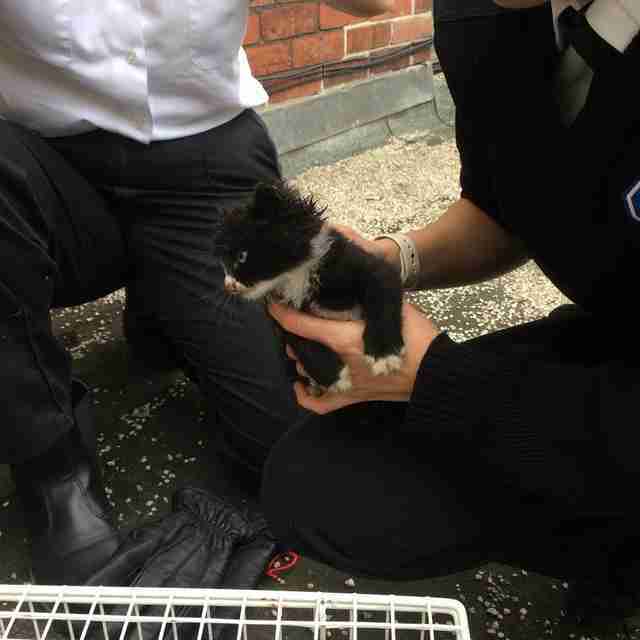 RSPCA Inspector Sandra Dransfield got the call about the tiny, stuck kitten and immediately contacted South Yorkshire Fire & Rescue to come with her to rescue the kitten, since she knew she wouldn’t be able to on her own. When they arrived, they assessed the situation and realized the only way they would be able to rescue him was from the very roof that he fell from. 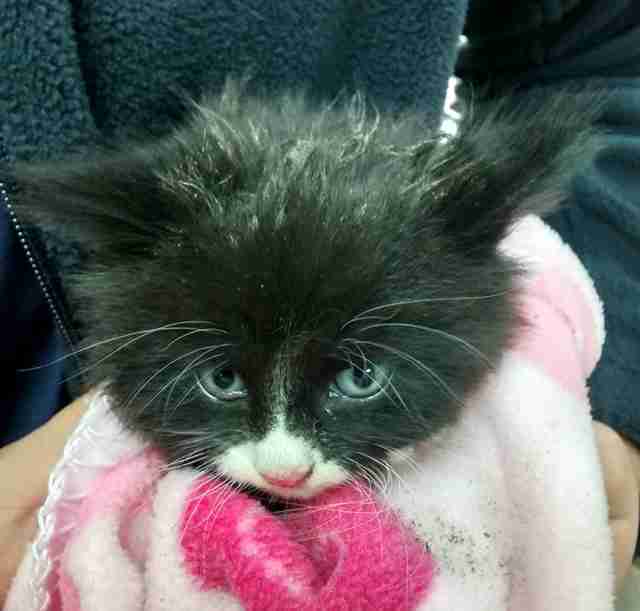 In order to rescue the kitten, the rescue team used two long poles, one of which had a net on the end, to try and herd the kitten and raise him to safety. They weren’t having much luck with the net, but the other pole had a crook at the end of it, and finally the kitten climbed onto it. The rescuers were able to very carefully pull him up and out of the gap, and back onto the roof where he started. Even though the kitten, later named Turpin, seemed to be doing OK, Dransfield rushed him to Peak Vets anyway, where he is now being cared for and closely monitored. He’s very lucky that someone heard him crying so loud; otherwise, he might never have made it out of the narrow gap. 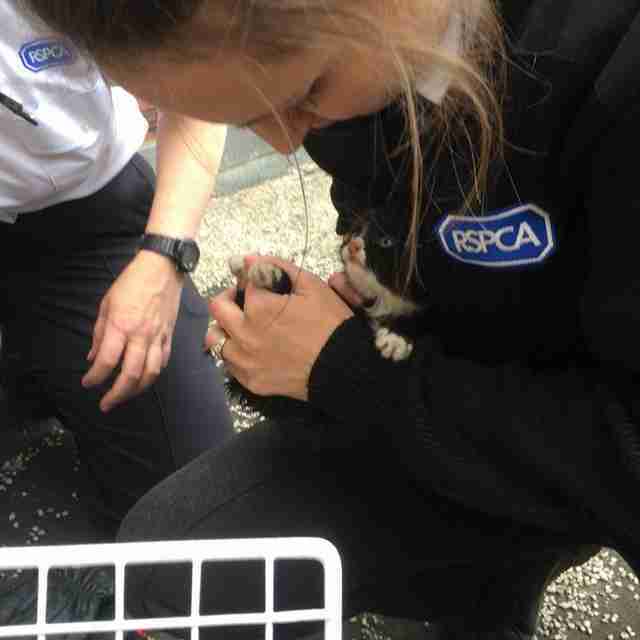 To help other animals in need, you can donate to the RSPCA.